Here is where you will find genealogy links to help you find where your ancestry originates from.They include surname indexes,clan web sites and more. The bottom of the page contains the Ancestry.com search engine. I have also included links to sites that will teach you Gaelic. 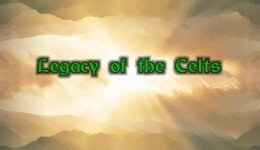 Now so that everyone can find satisfactory information on their lineage i ask that anyone who finds a site that has been of use to them let me know and i'll place a link to it here now search. GenForum:The genealogy forum where other researchers post info for free.Very helpful with new names added constantly. The Genealogy Gateway to Scotland: this site runneth over for anyone looking for data on their Scottish ancestry. English-Irish Dictionary: Now you can translate those Enya and Clannad lyrics! BBC Scots Gaelic Tutorial Perhaps the finest Scots Gaelic course i have ever seen.Uses Shockwave to make it fun to learn. Manx Archives: a resource for studying Manx Gaelic the only one of it's kind. Scotland Online: everything you want to know about Scotland with tourist info! Information on Co Mayo, Ireland:shop for items here. Roizine:a teen e-zine for E-pals, poetry, horoscopes etc.